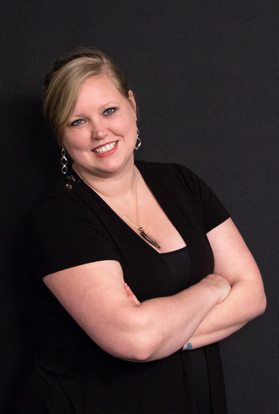 Samantha grew up in an optical practice with multiple family members in the industry. An ABO certified optician herself, Samantha worked as a dispensing optician for eight years, as well as managed an independent optometric practice. During this time, she realized there were very few people, or marketing firms, that understood the unique marketing needs of the optical industry. 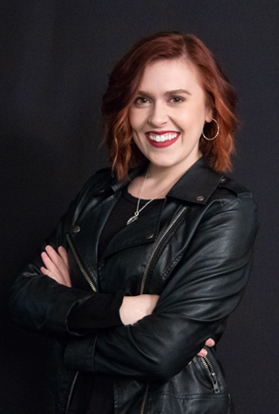 With a strong passion for marketing and design, Samantha pursued and completed her bachelor’s degree at Michigan State University. 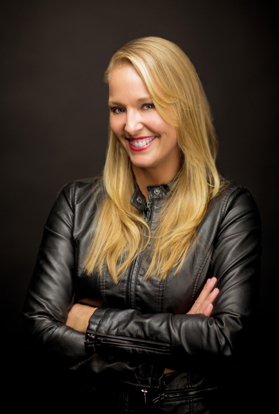 In 2003, she started Innereactive Media, a full service marketing company that specializes in the optical industry. Her experience as a certified optician, along with her formal marketing education has given her a unique perspective on marketing, design, and website solutions for the optical industry. Samantha is an ABO, NCLE, AOA, JCAHPO, and COPE approved speaker and she lectures across the country teaching optometrists and opticians best practices for marketing their practices. Her niche expertise led her to be named one of the “Most Influential Women in Optical,” and her company was named one of Michigan’s Top 50 Companies to Watch in 2016. She and her team work with frame and lens manufacturers, laboratories, and eye care practices all across the country. In between flights and lectures, Samantha always finds time to indulge in her intense love for sports on the nearest screen. When at her home, she loves to ride her motorcycle in the summer, and hike the trails with her best pal Zoe, her black lab. While attaining a degree from Aquinas College, Heather worked at her local eyecare practice as an administrative assistant. 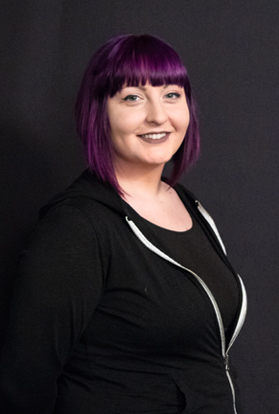 The knowledge gained from this experience along with her love of all things crafty makes her an admirable addition to the Innereactive Media team. Although she joined the team as an Innexus Specialist, her organization skills, steal-trap memory, and ability to remain calm and solve problems made her an ideal candidate for project management. In addition to helping our clients make sure their projects are running smoothly, she also ensures our office is fully functional. She works toward creating a company culture that encourages idea sharing, adapts easily to change, and inspires employees to do their finest work on every project. During college, Heather developed an outlook on life that still resonates with her today: learn to love your work, and you’ll never work another day in your life. Emily started as an intern in 2012 and now she basically has her hands in everything. Okay, not everything, but Emily takes care of some seriously important stuff at Innereactive Media. Emily jumped out of her comfy, Grand Rapids nest and attended college at Philadelphia University. She graduated with a BA degree in graphic design communication and a minor in marketing. Her background in graphic design, website building, and marketing made her a wonderful addition to the Innexus team. Years of working here with our wonderful clients and masterful staff led Emily to build her skills as an expert coordinator of details and organizer of important accounts. She recently took over this position after having mastered a few others! Emily is always up for a challenge and has a ‘bring it on’ attitude. This definitely includes the friendly Michigan vs. Michigan State rivalry between herself, Dan, and Sam! Yes, Emily is a Michigan fan. And that’s perfectly okay. 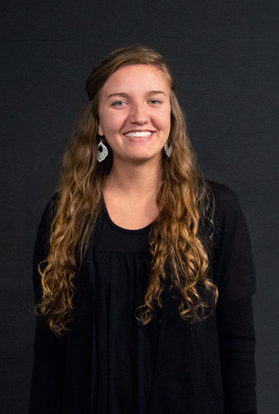 While living in Chicago, Ashley gained valuable experience working as a Web Designer at a local radio station, steaming milk at numerous coffee shops, and dodging car doors while biking (the latter is probably the most important). After 3 exhilarating years, and an extremely cold winter, she decided to retreat back to Michigan and settle in Grand Rapids. When she’s not knee-deep in CSS and HTML, you might find Ashley attending music festivals, going on bike rides with her boyfriend, cooking an extravagant meal for two, or listening to records. Dan has a strong background in the eye care industry. He was a certified optician at an ophthalmic practice for 4 years before working as an optometric technician at a large health clinic for 3 years. Dan was drawn to Innereactive Media and Innexus because of his love for eye care. Now he gets to help spread the news of Innexus and all of its great benefits to everyone in ophthalmology, optometry, and opticianry. Dan is also a graduate of Michigan State University with a degree in Fisheries and Wildlife. As you can see his career plans have changed, but his passion for helping people has not. When Dan isn’t out illuminating the path to success for eye care professionals, he’s usually enjoying the great outdoors with family and friends. Disc golf is his favorite outdoor activity, but he also enjoys hiking and camping with his wife Kelli, son Kaiden, daughter Kaitlyn, and their standard poodle Samson. Marie is from the east side of the state, but we don’t hold it against her. Besides, she fits in pretty well because she wears cool glasses, goes outside, and eats vegetables. 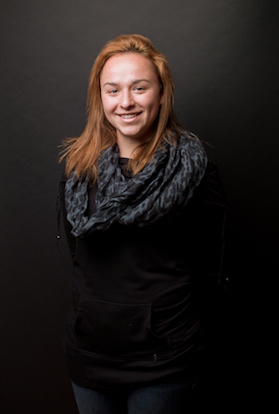 Marie graduated from Grand Valley State University with a BFA in Graphic Design. Since graduation, Marie has been rocking the marketing industry, working in design and creative direction roles with ad and web agencies. 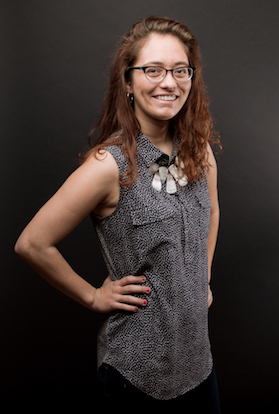 Marie is a member of AIGA West Michigan, the professional organization for design. When she’s not designing, she can be found at creative affairs around town, meeting new people and dragging them into the fabulous field of design. Marie loves the outdoors and is always itching to go on her next backpacking or wilderness adventure. Josh was in highschool when an elective course in web development first sparked his interest in code. He graduated from Kendall College of Art & Design in 2014 with a Bachelor’s of Fine Arts, focusing on Digital Media. 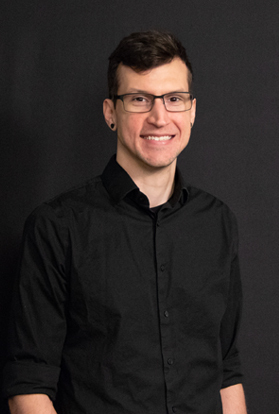 Josh enjoys the challenge that comes with solving the complex “puzzles” of web development and loves that each day brings a new and exciting way of doing things. He joined the Innereactive team in 2016 and has been crafting the most elegant code ever since. When Josh isn’t watching a new show or connecting with people while playing video games, he can be found enjoying Michigan’s great outdoors with his girlfriend and their dog. In her time at Innereactive, Olivia has moved quickly from intern to full-time employee. Born and raised in Grand Rapids, Olivia was thrilled to land a position in the city that she calls home. She holds a BS in Advertising & Public Relations from Grand Valley State University and has a passion for the creative work she does. Olivia enjoys all art forms, from two-dimensional design to performance art. 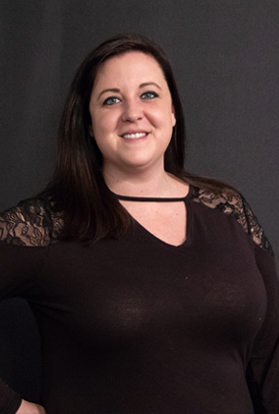 Outside of the office, Olivia is able to share her love of dance and teaches at a dance studio on the northwest side of Grand Rapids. 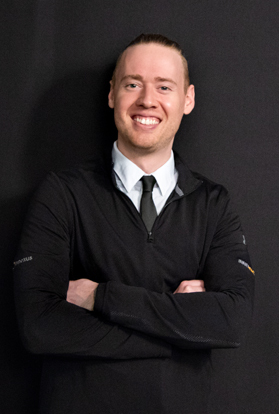 As one of the newest team members at Innereactive, Corey hails from the Pacific Northwest and has spent the majority of his adult life attempting to figure out the magic of the inter-webs. Within only a few weeks of receiving his first computer, he had begun to write HTML and hasn’t looked back since! Graduating from Eastern Washington University in 2014 (Go Eagles!) with a BA in Visual Communication Design & Web Application Development, he found himself a bit out of his element in the world of eye care. 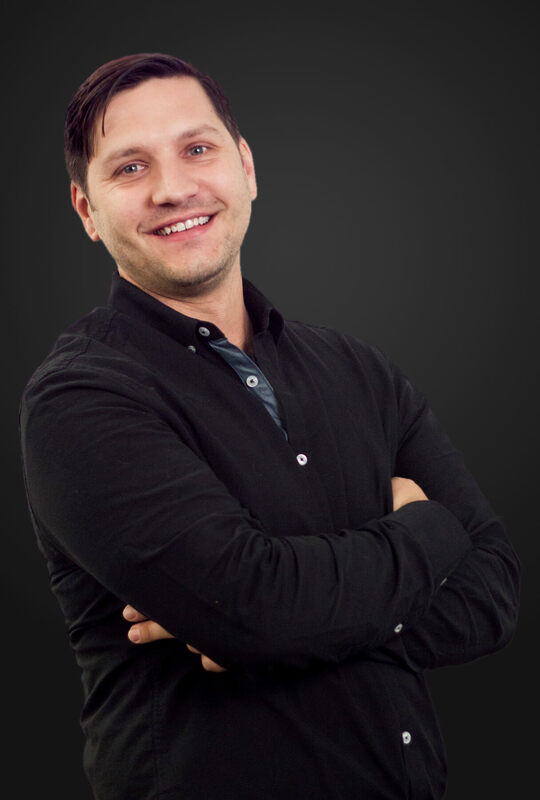 As one of the pioneering members of the Member Marketing team at Professional Eye Care Associates of America (PECAA), Corey honed in his skills, not only in website development, but also in human interaction. 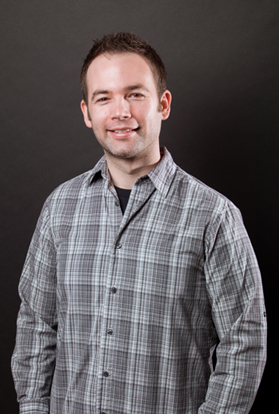 Corey is beyond excited to join forces with the already incredible team at Innereactive! When Corey isn’t spending time in front of a computer screen, he can be found on the occasional hike or immersed in some outdoor experience. When it isn’t raining, that is. Jason’s career in the arts started in Connecticut, where he discovered early on that he loved art. His first job began in his 2nd grade classroom, where he creating hand-drawn crayon and marker masterpieces that sold for 25 cents apiece. Jason has been painting and pushing pixels ever since, holding alternate job titles such as Digital Art Monkey, Director of Fun, and Sketchbook Samurai, while working in the real world as an illustrator, teacher, and designer. 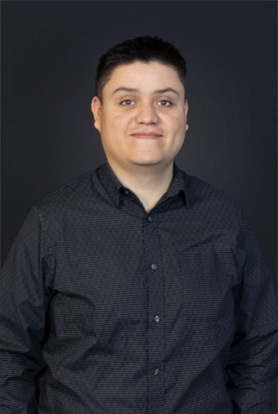 After graduating from Oregon State University with a BFA in Illustration, Jason gained many years of experience as a production artist and graphic designer, working in large corporations, startup companies, digital studios, and an eye care association. Jason took a break from the design world to obtain his Masters in Teaching at Concordia University and for a brief, but rewarding time, worked as a high school art teacher. Although it made for relaxing summers and miserable illnesses throughout the year, Jason felt the desire to come back to design—and the rest is art history. When he’s not designing, painting, or drawing, you can find Jason hiking Pacific Northwest trails with his studio manager, Whiskey (the dog), finding the next great culinary experience in Portland, watching Oregon State University sports, hitting a ball…any ball, or exploring the world, looking for the next great tiki experience. Sarah is a true Michigander in the sense that every attempt she’s made at moving from the state has eventually landed her right back home in west Michigan! After earning a degree in Natural and Historical Interpretation from a small college in Ohio she spent several years developing her communication skills at a living history museum in Indiana. Her willingness and desire to learn new things led to exploring new job experiences in a couple different job fields, each with the common theme of helping people. From Ox droving to Healthcare Consulting, she’s done it and loves it! The past 10 years she has been honing her customer service skills and is greatly looking forward to using them as an Innexus Specialist. 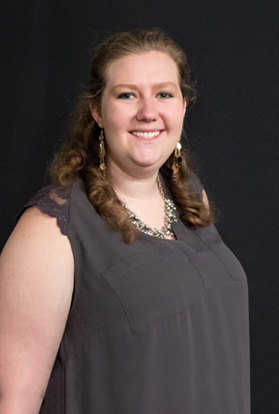 When Sarah is not at work, she enjoys cooking, gardening, and spending time outdoors with family, her boyfriend, and their newly adopted dog, Ruger! Jess is is equal parts Michigander and Chicagoan with a passion for all things design. She enjoys pastel aesthetics, dog parks, and supporting local sushi restaurants. 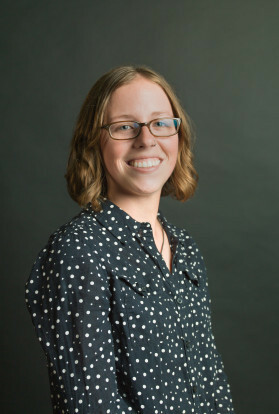 Graduating from Trinity Christian College with a BFA in Design, Jess’s favorite focuses include intuitive UX design, fun and engaging print work, and clean, and creative web solutions. Since graduation, Jess has had the pleasure of working in all of these fields whilst also wearing other hats such as photoshoot director, SEO keyword scholar, and, oddly enough, hand model! Jess loves a new challenge and brings this enthusiasm to each new project. When Jess isn’t working, she’s usually spending time at a brewery with her husband, chilling at the dog park with her corgi, or playing a little too much Overwatch on her PC. 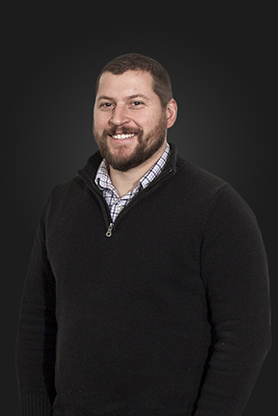 Josh’s professional background is a trifecta of marketing, healthcare, and technology experience. Having spent his last several years working within Eye Care specifically, he has come to appreciate the pain points & business needs of eye care practices, both big and small. 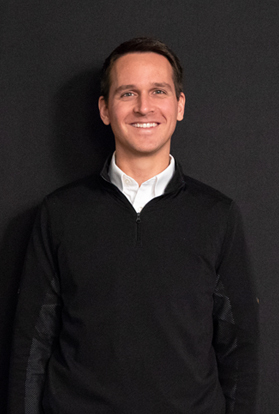 Josh has a real passion for the positive impact that technology can have on a Healthcare Provider’s business, patient relationships, and overall delivery of care. Combine that with cutting edge marketing strategy, and Josh is in career heaven. The decision to join Innereactive wasn’t a hard one for Josh. The company’s amazing culture and combination of unmatched Eye Care marketing programs were the perfect fit. When Josh isn’t cooking up Innereactive’s next big initiative, he loves spending his time with his wife and 4 kiddos exploring all the amazing things Utah has to offer. Kelley graduated from Ferris State University with a degree in Graphic Design. After taking a few web courses included in her degree, Kelley was hooked! With a love of great design & user-friendly web development, Kelley is a wiz at creating beautiful and structurally sound websites. Kelley is a huge animal lover! Whether they are furry, scaly, or slimy, she always has the compassion to nurse any sick animal back to health. Over the years she has had a variety of pets: dogs, birds, snakes, rats, rabbits, horses, hedgehogs, chinchillas, & axolotls. Her favorite and most beloved pet is her cat, Emmy; Kelley will boast about how many tricks she has been able to teach her. When she’s not occupied with animals you can find her geeking out to some classic video games, or getting herself lost roaming trails in the woods. Andrew’s love for comic books is matched only by his love for technology. As a child when he wasn’t busy skateboarding or reading the newest issue of Teenage Mutant Ninja Turtles he was pursuing his other interests playing Wolfenstein or Myst on the family computer. When he witnessed the birth of the Internet his life was forever changed. As a member of the United States Air Force, he was able to use some of the nations cutting edge tech while traveling the world. He completed 3 tours in Iraq before attending Kendall College of Art and Design and majoring in Digital Media. Andrew’s love for technology translated to a fully realized dream in web design, always focusing on the user experience. 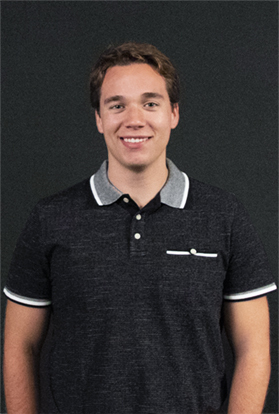 Andrew joined the Innexus team as a web developer in hopes to increase his skill set and contribute to the company’s growth and success! Born and raising in Grand Rapids, Ashley is a full force Michigander and will forever call the Mitten State home. Her love for art influenced her to study marketing at Calvin College, where she graduated with a degree in Organizational Communications. 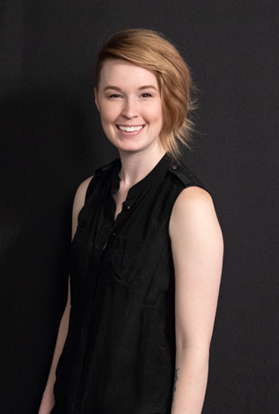 Since graduation, Ashley explored many job opportunities before joining the Innexus team as an Innexus Member Specialist. Ashley spends her summers camping with friends and family. She enjoys kayaking, hiking, and relaxing at the beach, especially in Northern Michigan. Ashley loves to travel and has been to six countries within Europe, Asia, and Central America. She has an addiction to country music and attends concerts very often. Ashley also has a strange obsession with the color Pink. David grew up in a small town where he played football on a field right next to a corn field. (Now that’s a small town!) 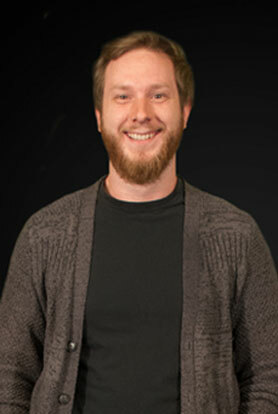 After graduating from high school David began to pursue a degree in computer programming but has since changed his focus to web development. 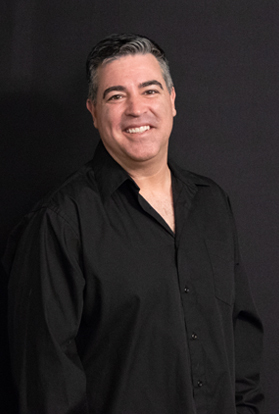 With seven years of customer service under his belt, David is excited to work with each of our Innexus members on their website, social media, and marketing needs. When David is not working, he can be found playing video/board games, soccer, or relaxing and watching movies with his son. 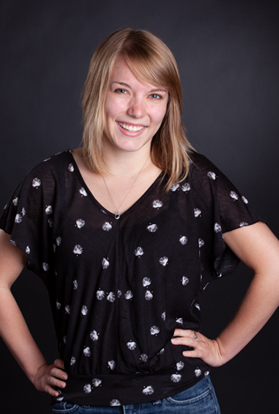 Makenzie began her time at Innereactive as an intern and transitioned into copywriter. Born and raised in West Michigan, she was excited to be able to work in the place she calls home. Makenzie studied at Grand Valley State University, where she received a BS in Health Communication. This combined her creative passions with her passion for helping others. Outside of work you can find Makenzie expressing her creativity through painting, DIY projects, and other crafty tasks. 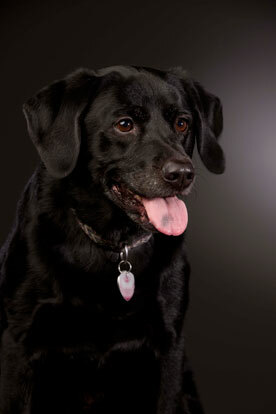 She also enjoys spending time with her family and two golden retrievers. Makenzie loves the Michigan summers as they are perfect for hiking, camping, and relaxing on the beach. Kristin’s professional background has always been in optical. After graduating from Western Michigan University Kristin moved to California and continued her career in the optical industry. She has experience in most areas of the business from the internal day to day workings of a practice, training staff members, designing dispensaries, helping get the most out of your managed care, supplying top of the line designer frames, leading new technology development, the interworkings of a laboratory, and much more. 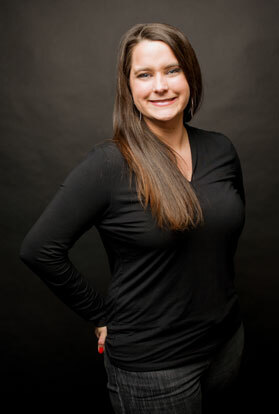 While working in each of these areas Kristin developed a passion to see and help practices grow. Optical has a unique spot in the medical industry which requires creative marketing. Marketing had been proven to be a leading factor in a lot of practices success and Kristin wanted to be a part of that, which has brought her to Innexus by Innereactive. While not helping practices grow, Kristin is adventuring outside in the California Redwoods and visiting the ocean. She loves food and trying new things. Born in Grand Rapids but raised in the cornfields of mid-Michigan, Tyler made his pilgrimage back to the west side of the state through attending Hope College in Holland. After four years of bouncing between academic and career interests, Tyler graduated in the Spring of 2018 with a BA in Business with minors in Accounting and Communication. Tyler’s prior work experiences range from marketing internships at small nonprofits and large hospitals to substitute teaching at local K-12 schools and other odd jobs. With a passion for people and creativity, Tyler left college pursuing a career in the marketing and communication fields until arriving at Innereactive. A self-proclaimed “big movie guy,” you might find Tyler out of the office watching the latest releases in theaters or binge-watching the Harry Potter or Marvel movies… again. He also enjoys half marathons, hanging out on the beach, and exploring downtown Grand Rapids with friends. Helen is a Grand Rapids native, 4th generation Spartan, and Upper Peninsula enthusiast! She is forever proud to be a Michigander. 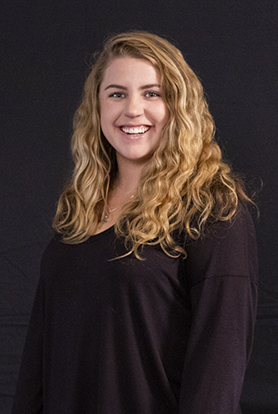 After graduating from Michigan State where she earned a degree in Marketing at the Broad College of Business, Helen worked as a Business Analyst in corporate merchandising at Meijer in West Michigan. Her love of working with people, collaborating with a team, and a drive to develop professionally brought her to Innexus where she is extremely excited to serve her Members. While not at work, Helen enjoys spending as much time with her family, friends, and dogs as possible (which requires a lot of coffee). She is passionate about coaching high school girl’s lacrosse, fishing, hiking, sailing, archery, and cheering on Michigan State University. Go Green! Often heard barking at anything she sees move through the front windows, Zoe—the Innereactive office pup—has long since claimed the territory. Very much a momma’s girl, Zoe rarely strays from the executive office other than to approach strangers with treats or employees with crumpling snacks. One would think with her ears and nose, she’s 100% bloodhound. Born the same year as Innereactive, Zoe boasts second in command with seniority.